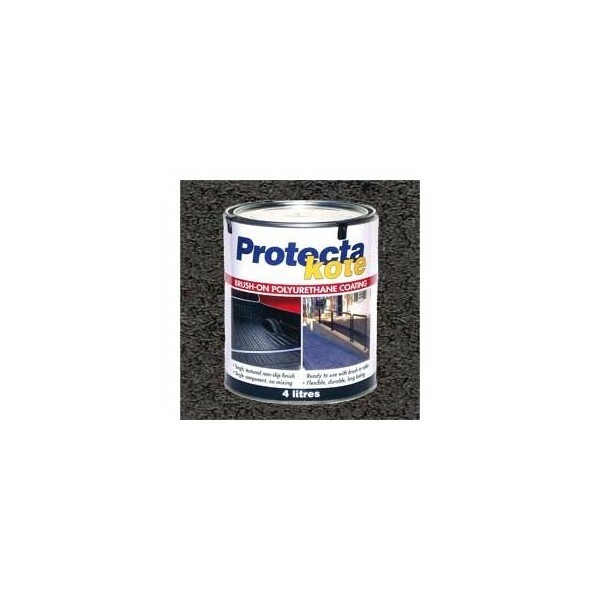 Protectakote is a unique, advanced formula polyurethane anti-slip paint, incorporating rubber granules to give a totally flexible anti-slip (non-slip) finish that will not flake, chip or peel. With no mixing or blending required, it can be easily applied to almost any surface including metal, concrete, wood, fibreglass, plastic and rubber leaving an attractive textured anti-slip finish that is resistant to impacts. For more information click here. 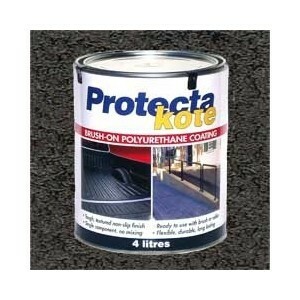 A 4 litre tin of Protectakote will cover up to 5 - 8 square metres* with the recommended 2 coats.